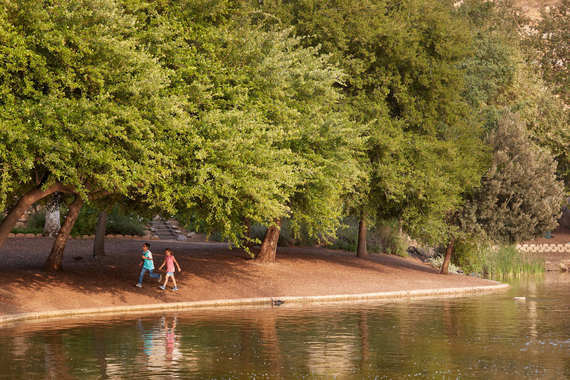 Fontana, Calif.- Start off the month by giving back to your community with a Park Clean-Up Day. The clean-up takes place at Mary Vagle Nature Center (11501 Cypress Avenue) on Saturday, April 13, 2019, from 8:00 a.m. to 1:00 p.m.
Duties will consist of spreading mulch and clearing walkways. Staff will be on site with a sign-in sheet and will provide volunteers with a schedule for the day. Rakes, shovels and trash bags will be supplied. Volunteers are asked to dress comfortably and bring closed-toe shoes or boots. Lunch will be provided. If you have any questions, please contact the Public Works Department at (909) 350-6760 or by email.